One of the last remaining swamp areas of Europe, Neretva river valley is also known as the Green Pearl of the Adriatic, and once you stop to admire the panorama of green fields intersected with Neretva backwaters and lose your breath for a moment it becomes clear where the name came from. Only 22 kilometers from 240 kilometers of the Neretva River is located in Croatia. But these are quite special because the river has spilled into the estuary which is today after melioration a unique vista on the Croatian coast. Neretva was and still is the lifeblood of the region, it waters the land and feeds the valley, and it is where eels and frogs are hunted, unique specialties of the region. Although the area retracts about twenty kilometers in the continent, the delta is an integral part of the Adriatic, both geographically and biologically, and especially by the mentality of the people. Special position in the Adriatic is also the point of the most intense meeting of two worlds: the sea and the river which has significantly shaped its life and people. Rivers with valleys and estuaries have always been the focal points of new cultures and hold a rich historical heritage. The current findings tell us about the period since the Greeks and Romans, and it is possible that people were present here even from the Paleolithic. The beautiful Archeological museum Narona in Vid, a unique “in situ” museum, exhibits a total of 900 findings dating from the 3rd century BC until the 15th century. 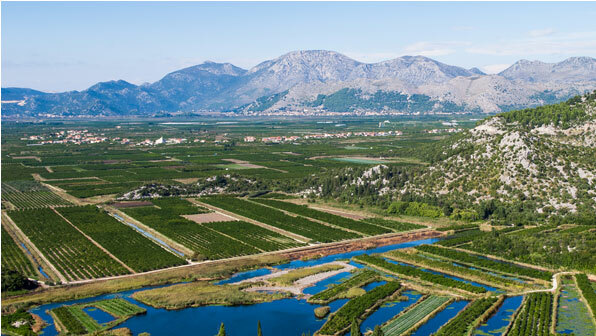 Arriving in Neretva means a transition from blue to green mosaic surrounded by bare, platinum hills of mountain chain Dinaridi. Wetlands and swamps, like the Neretva Delta are known as the cradles of life because of almost ideal combination of various biological and natural factors. Habitat in the areas of brackish water is home to of a number of species of seaweed, shellfish and fish, there are over 25 species of bats in the region you can see otters and other mammals. In addition, Neretva Delta is a resting area for birds of Europe on their migratory routes to Africa and serves as a wintering area for birds from the north-eastern and central Europe, and there over 300 species of birds have been detected. Natural History Museum Metković will reveal many secrets of this versatility. In the gastronomic segment, Neretva region is very special and offers specialties of a kind that are not found elsewhere in Croatia, while also offering a number of Dalmatian specialties such dishes under the bell, fish, beef stew Pašticada and so on. The delights of our region are eels and frogs. 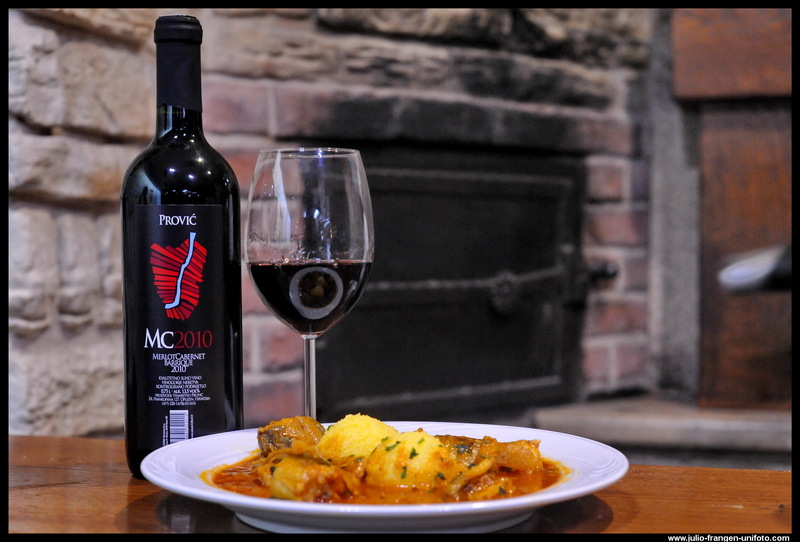 The brodetto, a kind of stew of eel and frog is a specialty not to be missed. And there’s an eel on a spit or dried eel we offer as well. The Hungarians have left their hot pepper in legacy which has been fully domesticated, so the brodetto without it is inconceivable, as well as many other dishes. Brackish water in the Neretva channel is habitat for many crabs, shellfish and fish. That is why the prawns (shrimp) we offer are an exceptional delicacy, since individual examples regularly reach about 20cm and are absolutely of exquisite quality. Sea bass or mullet called bataš are also a specialty and a must when in Neretva. Neretva wine growing region and the youngest wine growing region Komarna nearby ensure that high-quality wines accompany Neretva delicacies. Since we produce wine from our own vineyards, we invite you to visit our family cellar and taste Zlatarica, Chardonnay, Merlot / Cabernet Sauvignon and enjoy a true moment of hedonism. 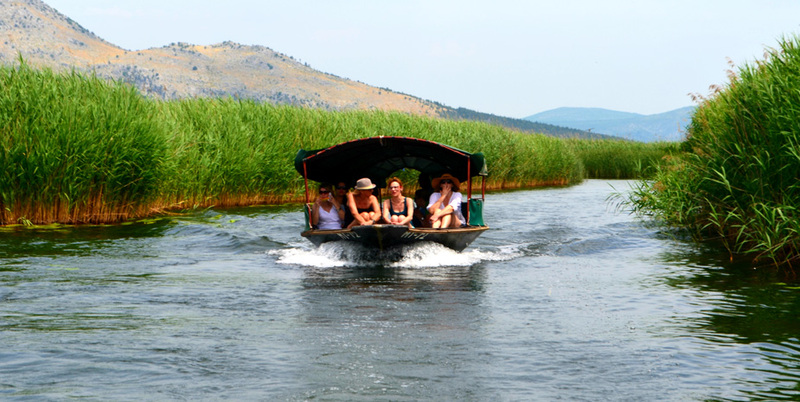 The best way to discover Neretva is exploring its wilderness in the unmeliorated part. You can relax on a photo safari boat trip or enjoy kayaking through water lilies, bulrush and sedge all the way to the beautiful protected lake Kuti while birds are flying around you, frogs are croaking and light breeze caressing your cheeks. 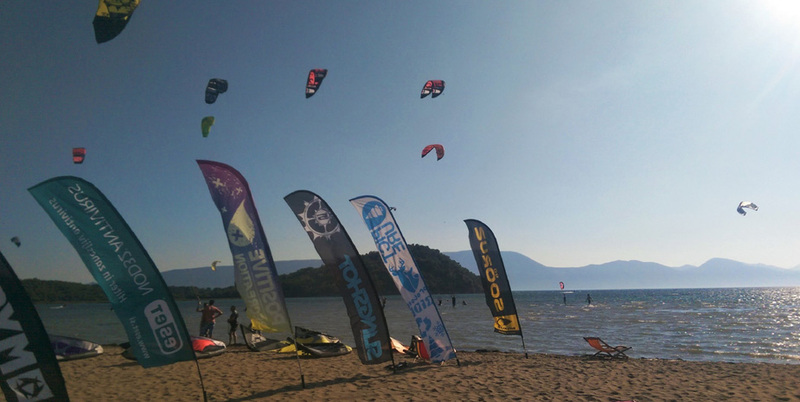 Adventurers will be delighted when they discover the beach Ušće, one of the best kite surfing spots in Europe. Bravest ones open the season already in April. Every year, the last Saturday in July is reserved for the Neretva Brodetto Competition, a competition in cooking the best brodetto of fish, eels and frogs by amateur chefs from the Neretva valley. This is a special folk festival where no one is left hungry! In August you have to come and see the Lađa Marathon, a unique rowing race 22.5 km long on a route Metkovic-Opuzen-Ploče. The contestants row to win the shield of Duke Domagoj, honor and glory while visitors and locals enthusiastically cheer for their favorite teams. 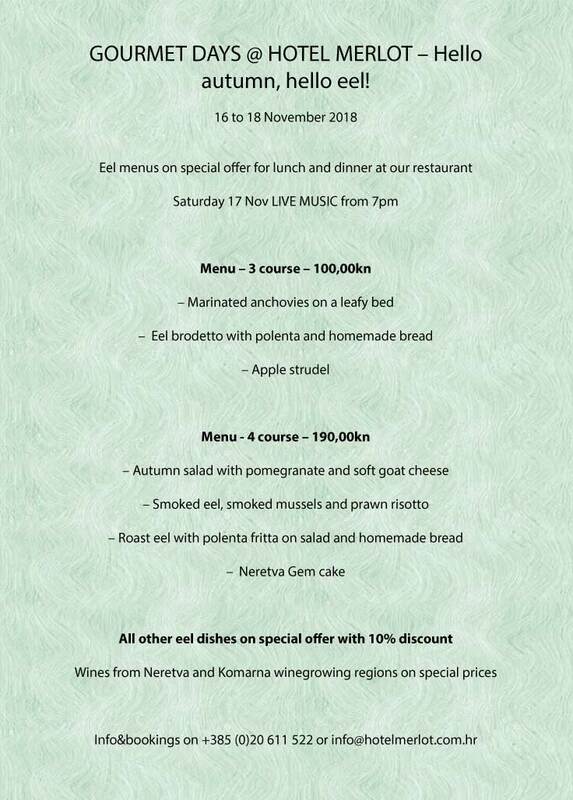 In November, however, during the best eel season, we have Eel days in Neretva, an event that combines the gastronomic branding of Neretva, promotion of small farm producers and work to preserve habitats and populations of our eel. Diverse and special, offering a wide range of activities and events, where everyone can find something for themselves, Neretva is truly an undiscovered gem. It is time to set sail, come and EXCITE YOUR SENSES WITH NERETVA.